Byrd Interior Construction, LP is designed to efficiently meet individual project needs whether it’s for an office remodel, a high-end interior build-out, complex laboratory or medical facility. We provide full service for all components involved in the construction process including demolition, partitions, ceilings, finishes, specialty items, millwork, electrical, mechanical and fire protection. Building corporate interiors is the largest percentage of our projects. A majority of our projects come through the relationships we have built with building owners, management companies, real estate brokers and or their architects. We work with tenants of all sizes from minor construction to full renovation. The types of clients we serve ranges from small, privately owned companies, large publicly traded corporations, law firms, banks, insurance companies, energy companies to light industrial office warehouse clients. Our portfolio includes interior construction services for medical professional buildings and physician’s offices as well as eye clinics, ambulatory surgery centers (ASCs) and dental offices. We are experts in this type of construction and understand the importance of perfection when it comes to specific code requirements and inspections required in building healthcare facilities. 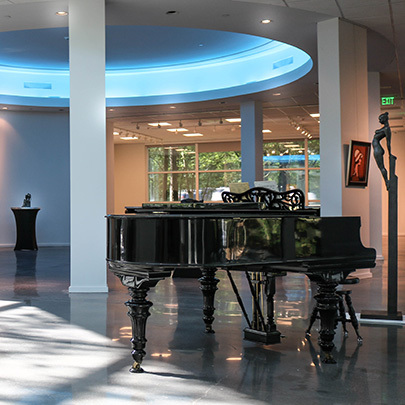 Byrd Interior Construction completes many common area renovations including remodeling building lobbies, public corridors, restroom renovations, fitness centers and building conference centers. We understand the importance of getting these projects done quickly without adversely affecting businesses that occupy the facilities while provide quality workmanship. Byrd Interior provides ADA modifications for public areas, restrooms and building entrances. Our superintendents are highly trained in the requirements involved to meet ADA requirements through the Texas Department of Licensing and Regulations. We understand the detail-oriented mentality involved in the process, ensuring compliance while completing the projects in a safe and efficient manner. Byrd Interior provides interior construction for high-end retail shops. Retail contracts generally are developed through referrals from building owners and managers or their architects. We will cover every detail from special finishes, fixtures, and appropriate lighting to the finished design. Byrd Interior eagerly welcomes new construction projects for corporate, professional, and healthcare interiors. Our team is available whenever you need us.